I see you there, on the other side of the computer screen. Your blog to do list is a mile long. You’re overwhelmed at all the things you are supposed to do to make your blog the best it can be before you release it to the waiting world. You are frustrated by all you don’t know when it comes to the technical stuff. And none of the graphics you attempt to make look anything like the ones you see going viral on Pinterest. I have good news for you. You don’t have to do all the things. You don’t have to choose the right child theme the first time. You don’t even have to make the perfect Pinterest image. 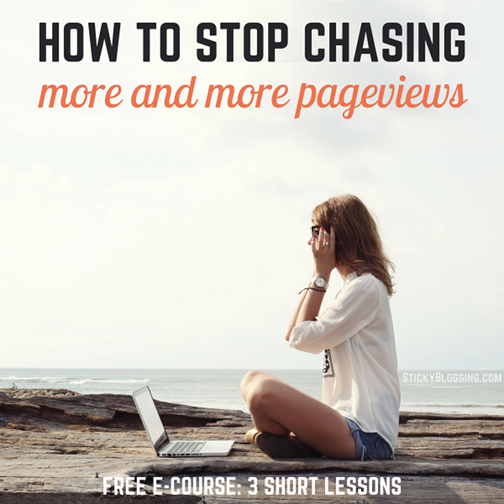 All you have to do is sit down and write one blog post to help one person. That will be enough for now. I want to let you in on a secret. You will spend the rest of your blogging career customizing your theme, optimizing your sidebars, and upping the visual appeal of your graphics. You will write and re write a post multiple times and still end up trashing that post in five years when you write another better one on the same topic. Blogging is never done. There is always something to try. There are always ways you could improve. But more isn’t always better. Flashy graphics don’t always indicate quality content. More bells and whistles don’t necessarily mean more connection with your readers. Blogging is a process. You begin the process by writing a post, not by getting the whole site perfect before you ever press publish. The goal of blogging is not to have a perfect website; the goal of blogging is to talk to people. You’ll paralyze your progress by setting your eyes on perfection. When you focus your gaze solely on the person you are writing for, you’ll make the greatest impact with your blog. Your most important job as a blogger is to write to that one person who needs to hear your words today. Think of one prospective reader. Listen to what she says about what is on her heart right now. Write a post for her. Just publish that one post. Put a picture in it, if you’d like. But don’t worry about the perfect pinnable. Don’t stress about SEO. Just hit publish. Send the link to that one person you wrote the post for. Explain that you’re new to blogging and ask for her feedback. Ask how she thinks you could improve. Ask what other questions she still has after reading that post. And ask if she’d mind sharing that post with a friend. Then write your next post in answer to one of her other questions. Chances are, she’s not the only one who has that question. Soon, she won’t be the only one sharing your posts with her friends. Soon, you’ll have a tribe of loyal readers who love how you listen to them and write for them. They won’t care whether you’re using a free or professional WordPress theme. They won’t know whether your post is optimized for Google. They didn’t even notice your Pinterest image. They are there because you care. That is what they care about. And the longer you blog, the more you will realize that your readers are all you really need to care about. Your first priority as a blogger should always be getting to know your readers. Spend more time listening to your readers than listening to the “experts”. Don’t let your aspirations for a large readership distract your focus from the individual people who are reading your posts right now. Blogging is about so much more than numbers. You can have more impact focusing on one person at a time than by creating a post that will appeal to ten, to one hundred, or to a thousand people at one time. Writing a post for one person is the way to touch many others. Write for one specific person and you will have an impact on many more. When it comes to blogging, only practice makes perfect. Listen to your readers. Learn from how they react and interact with your posts. But don’t get hung up on creating the perfect graphic. Don’t get paralyzed by SEO. Don’t let the technical side of blogging keep you from speaking directly to your reader’s needs. Just listen, write, and publish. With time and practice, everything else will fall into place. P.S. 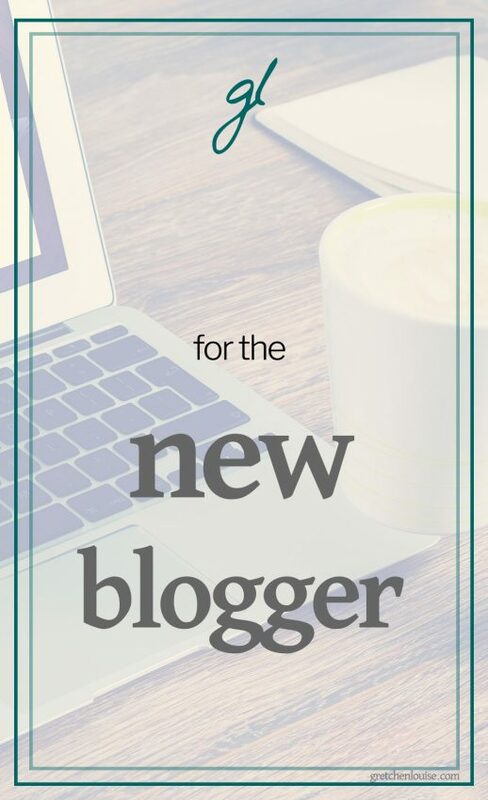 If you’re looking for a few more practical steps for new bloggers, check out this post. You might be surprised at which elements are the most vital for your new blog (spoiler alert: the way your posts look is not the most important thing). « God bless us, every one. Thank you for the advice. Very nicely written. Thank you. For two days I have been going back and forth trying to figure out all the bells and whistles of setting up WordPress so it is perfect, and I have gotten so frustrated that I wasn’t sure I even wanted to do it anymore. This popped up just when I needed to see it. I have new motivation, knowing that it doesn’t have to be perfect to begin. I appreciate this as a new blogger myself! Thank you! I started blogging with the intention to glorify God and to help someone- just like you said one person! But, I forget that such a small number is still important! It’s hard to remember, isn’t it, Angie?! Have you read Trina Holden’s free ebook, More Than Numbers yet? It’s so encouraging! No! Thanks for telling me. I’ll check it out. Thank you for this! I’m just starting out (as in, downloading WordPress right now) and I’m already getting overwhelmed with all of the tech side of blogging! I needed to read this. Going to check out some more articles here on your blog. Looks like there will be some helpful posts! Timing is everything! I’m setting in front of my keyboard, once again procrastinating on finishing a post. And bingo, I read your Monday email which sent me here. Thank you so much for the insight. Writing to one person. What a great way to move forward. Now back to writing for that one person! Thanks Gretchen! Thank you, Ron! I’m so glad the timing was just right for you. I think that, if you write for that one person, the timing will be just right for them, too. I know the perfectionism trap all too well. I’ve blogged, on and off, for about five years, and I still get really, really stuck—especially when I’m starting a new blog like I just have. Something I’ve found really helpful is writing short posts regularly and long posts occasionally (I got the idea from CJ Chilvers). It takes the pressure off and puts the fun back into blogging. It also feels good to be publishing something regularly. I’d say ignore all the blogging ‘rules’ to begin with (or forever!) too—especially if you’re just doing it as a hobby. They’ll ruin your fun and creativity. By the way, Gretchen, I read your ‘letter to a weary blogger’ a while ago, and it’s excellent. I highly recommend it to anyone else who’s feeling a bit jaded. Thank you, Chris! I appreciate you reading and commenting. I think the blogging world is especially prone to perfectionism and comparison. It’s easy to start looking around us at the other blogs and forget about the most important person: our reader. Gretchen, I do not say this tongue-in-cheek–you are a God-send to that new blogger! I wish someone had given me such advice and wisdom in my earliest days of blogging. Some times now I don’t worry about the images, the SEO, the details. I try hard to write from the heart hoping to reach someone who needs to read what I’ve written. And if I don’t, it’s not the end of the world or my blog. Sometimes life happens and we can’t keep that blog going. So we have to step away. You know what? Like housework, that blog is always waiting for you to come back to it. If you’re lucky, your followers will be too. If I were answering that brand new blogger’s question, I’d suggest she be true to herself. Let the reader sense her authenticity in what she writes. This will build trust among those following her over time. We can only be the who we are. Thanks for being you, Gretchen. Thank you, Sherrey! You are so right. It’s too easy to let blogging keep us from living, when instead we need to live first, blog second. Let the reader sense her authenticity in what she writes. This will build trust among those following her over time. We can only be the who we are. Thank you for commenting! Keep writing from the heart. What if you’re not sure what your story is yet? 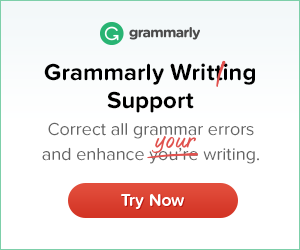 I’ve been writing consistently for over two months, but I’m still not sure I know what my blog is supposed to be about? Do you just start publishing and figure it out? Pat, I’d say keep writing. A theme will become clear to you. Congratulations on venturing into the blogging world, Pat! It can take awhile to find your voice and know exactly what niche you want to aim for. My advice is to write, write, and write some more. Keep pressing publish. Ask your friends for feedback. Ask them what they want to hear from you. And then, keep writing some more. These first posts might be ones you’ll go back and delete later because they were practice runs, because they were just experiments in finding your topic, learning your voice. But those first drafts, if you will, are vital to every writing project–including a blog! My advice: Press publish, press forward, and don’t quit. When I first started blogging, my posts were short and amateurish. Few people noticed. After I started, I felt like quitting several times, but I kept at it. It may take weeks or months, but if you have a story to tell, persevere. You will never know what might have been unless you take the first step. I met so many wonderful people online via my blog. Some I have even met personally. All feel like friends. So true, Marian! Perseverance is a must in the blosophere. Press publish, press forward, and don’t quit. As a blogger, this post resonates with me. Trying to balance blogging as a ministry and monetizing sometimes, no, often produced pressure to perform. I always claimed that if my blog blessed others and supported my lipstick and coffee habit (and made enough to buy someone coffee now and again), then I would have achieved my goal. Still tapping away on the keyboard while trying to ignore my site stats. Thanks for this gentle reminder that writing flows from the heart to benefit others not SEO. Writing flows from the heart to benefit others not SEO. Thank you for commenting, Katie! The to-do list can be overwhelming, can’t it? And it’s much too easy to let the constant to-do list keep us from doing the things we really need to do (like writing!). This is so encouraging to a new blogger like me. Your words are a gift- bless you! Thank you, Katrina, for the inspiration!